Successfully Added Fitness Tracker Bracelet M2 - Heart Rate Monitor, Pedometer, Bluetooth, iOS + Android APP, Remote camera, Call Reminder (Blue) to your Shopping Cart. The M2 smart bracelet fitness tracker has a sleek design and compact form, featuring a 0.86 inch OLED screen, soft wrist strap and PC body. With an IP67 rating the M2 sports wristband doesn't mind the wet and can be taken on your toughest workouts and runs. Putting health first this fitness tracker has a photoplethysmogram (PPG) sensor that will monitor your heart beat which can be read from the smart bracelet's OLED screen or via a companion smartphone app. The app, suitable for Android and iOS devices also lets you see your heart rate trends over time so you can compare workouts and see your exertions thought the day . 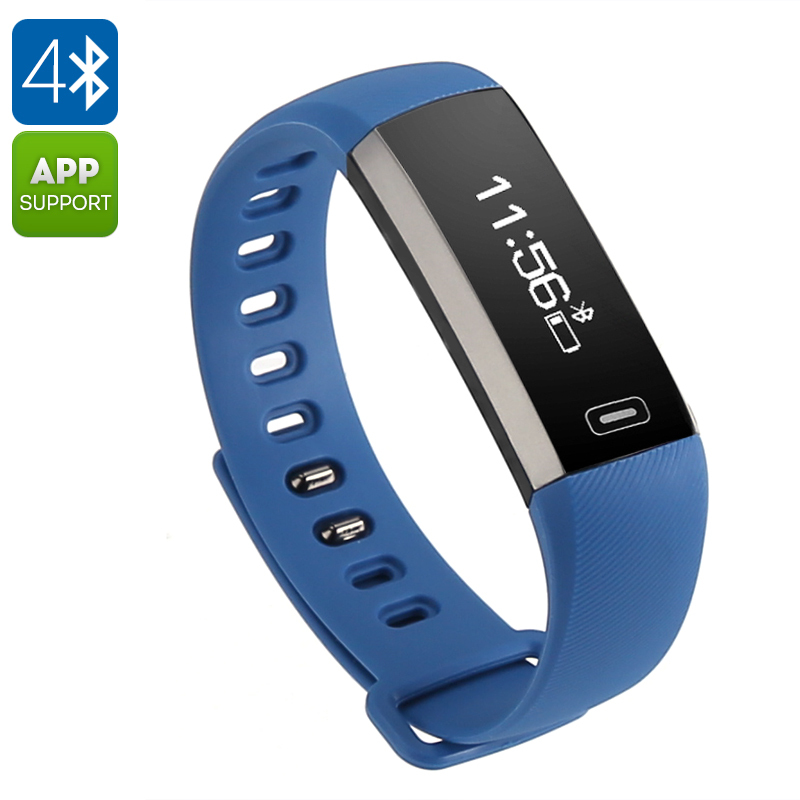 The smart band also features a built in pedometer for monitoring how active you was through the day and a calorie counter will advise of the approximate number of calories you've burned. This health features are on top of all the regular smart band functions such as time and when paired to your iOS or Android smartphone this Bluetooth bracelet will bring you incoming call reminders and message notifications so you'll never miss a call again. The M2 sports wristband comes with 12 months warranty, brought to you by the leader in electronic devices as well as wholesale Bluetooth bracelets and fitness trackers..